VG Supply Company offers a variety of resources to our lawn and garden retail store vendors as well as the typical homeowner for the care and maintenance of their lawn or garden. Whether you are a trusted landscape company or a homeowner, keep yourself posted on our upcoming events to learn how to best take care of your landscape and garden business or your home. Check our calendar to stay up to date on details for future lawn and garden events and shows. For other information about shows, visit our Company News / Shows page. Check back here for news and blogs about all of the recent trends in the lawn and garden industry. Find out more about anything from current garden décor trends to the best pest control products and stay tuned for events being added to our calendar. Here, we will provide you with the latest garden news, and the most updated calendar of our shows. 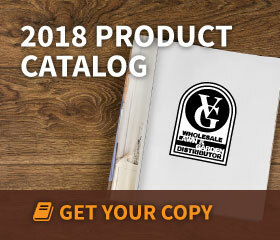 Watch our training videos to get more information on VG Supply. These videos can help you learn more about the basics of lawn care and maintenance. We offer these training videos to our new employees and landscape supply retailers. From insecticides, fungicides, and fertilizer to customer service tips for finding the best lawn and garden products, review our training videos! Looking for the newest landscape décor or latest garden tools and fertilizers? Here you can view the newest products and up to date trends before completing your purchase. VG Supply stays up to date on leading lawn and garden products and will sell you the best products with the best customer service to leave your customers satisfied and your home looking beautiful.